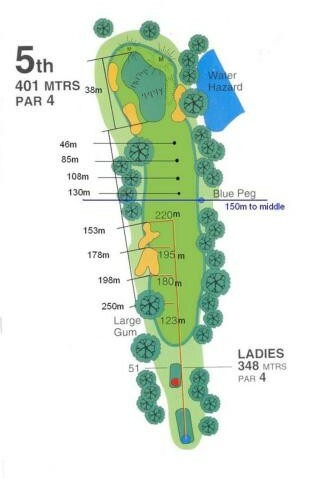 This Par 4 is 401m in length and offers the opportunity for the longer hitters to unwind. The hole is relative straight with no notable trouble from the tee. The second shot requires the player to aim at the middle of the green with importance placed on the right yardage as there are some well placed bunkers to swallow up your ball.